During NBAA’s second annual Business Aviation Management Committee (BAMC) Workforce Summit, attendees discussed educational outreach and workforce development strategies, highlighting the diversity of job opportunities available to young professionals. During the summit, James Brough, management and program analyst, National STEM AVSED Program, FAA, demonstrated fresh approaches to engaging with students in a classroom setting, providing attendees with the tools to inspire the next generation of aviation professionals and encouraging them to get involved. Summit participants agreed that the issue would only become more intense, as the airlines continue to increase recruiting and hiring efforts to meet projected pilot demand. One proposed solution was to restructure hiring practices in business aviation so that young professionals can complete their training and education in a condensed timeframe, allowing them to enter the workforce faster. “We need to evaluate more stories about what companies have done that is successful and what companies have done that are not successful. We can then see how more clearly that impacts retention,” said Lee Blake, chief pilot of shuttle operations, Cummins Inc. “The most pressing issue that needed to be addressed in order to retain and recruit top talent was compensation. The goal was not to match what a major airline captain could make, but to make the big picture quality of life/financial equation attractive to the employee. We also expanded out view in regard to pilot experience. “By utilizing an SMS approach, we were able to hire a 1,000-hour, relatively fresh, college graduate and successfully get him up to speed while simultaneously getting the buy-in of our team and executives,” he added. Diversity also was discussed, as the demographics of the workforce are changing, and business aviation strives to hire a workforce that reflects the diversity of the population to bring in the best talent possible. Summit participants agreed that new approaches are needed to reach students of all ages. Possible solutions include using social media and videos to spread awareness about business aviation, increasing outreach to schools and colleges with aviation programs and using more data-based strategies to determine where industry stakeholders can improve their outreach efforts. "Workforce development is important to NBAA members who are addressing employment opportunities that they need to fill today, as well as developing future business aviation professionals that they can hire tomorrow. 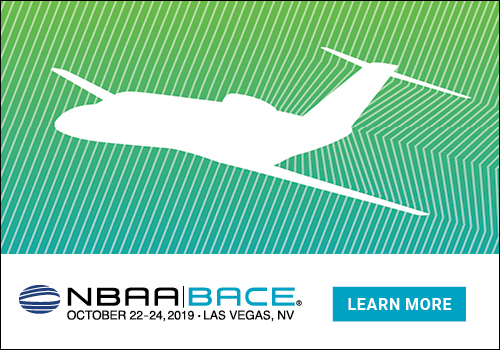 This summit encouraged creative and new ways of thinking about those missions,” said Jo Damato, NBAA’s senior director of educational strategy. “We already know what we do well to encourage career development including scholarships, internships, and mentoring, and we must find a way to further the awareness of those and other initiatives to show business aviation as a viable and exciting career path,” she added.